George Soros is an investor, philanthropist and political activist. He is the creator and chairman of Soros Fund Management and the force behind the enormously successful hedge fund Soros Fund. In 2014, Soros was #27 on Forbes list of the riches people in the world, with an estimated net worth of 23 billion USD. Forbes also listed him as the world’s richest hedge-fund manager and as the 7th riches United States citizen. By November 2016, Soros estimated net worth had grown to 24,9 billion USD. In the early 1990s, Soros earned the moniker “The Man Who Broke the Bank of England” after short-selling 10 billion USD worth of Pound sterling on the FX market and netting a 1 billion USD profit during the 1992 Black Wednesday UK currency crisis. Born in Hungary as Schwarz György, Soros holds dual Hungarian-United States citizenship. Between 1979 and 2011, Soros donated over 11 billion USD to philanthropic causes around the world. His donations played a significant role in Eastern Europe’s transition from communism to capitalism in the late 1980s and early 1990s. Soros is the chairman of the Open Society Foundations, and has provided one of Europe’s largest higher education endowments to the Central European University in his native Budapest. Soros is a well-known supporter of U.S. progressive and U.S. liberal causes and has strong ties to the Democratic Party in the United States. His parents where non-observant Hungarian Jews belonging to the upper-middle class. His mother Elizabeth’s (Erzsébet) family owned a successful silk shop. His father Tivadar (Teodoro) was a lawyer, and had been a prisoner of war in Russia during and in the aftermath of World War I. As Hungary grew increasingly anti-semitic in the 1930s, the Schwarz family changed their name to Soros in 1936. In Esperanto, Soros means “will soar”. In Hungarian, Soros means “next in line” or “designated successor”. Tivadar reportedly liked the name because it was a palindrome. Tivadar Schwartz was a publisher and writer in the Esperanto language and young György learned to speak, read and write Esperanto from a young age. In March 1944, Nazi Germany occupied Hungary. Jewish children were no longer allowed to go to school and the new administration required Jews to form a Judenrat (“Jewish Council”) in every community across the occupied territory. Eventually, the Soros family managed to purchase documents that said they were Christians. At the age of 14, György Soros even posed as the Christian godson of an official of the fascist Hungarian government’s Ministry of Agriculture – an official who had a Jewish wife in hiding. In 1947, György “George” Soros moved to England where he enrolled at the London School of Economics (LSE). He worked as a waiter and a railway porter, and received £40 from a Quaker charity. He earned his Bachelor of Science in philosophy from LSE in 1951, followed by a Master of Science in philosophy from LSE in 1954. After graduating from LSE, George Soros worked as a traveling salesman for a fancy-goods wholesaler. Eventually, he got a job at the merchant bank Singer & Friedlander of London. He started out as a clerk and later advanced to the arbitrage department. While working for Singer & Friedlander, Soros was encouraged by fellow employee Robert Mayer to apply to Mayer’s father’s brokerage house F.M. Mayer of New York. The application was accepted and Soros moved to New York City in 1956 to commence work as an arbitrage trader for F.M Mayer, specializing in European stocks. After three years with F.M. Mayer, Soros started working as an analyst of European Securities at the Wertheim & Co. In 1963 – 1973, Soros was the vice president of Arnhold and S. Bleichroeder, while simultaneously revising his philosophy dissertation. In 1969, Soros set up Arnhold and S. Bleichroeder’s Double Eagle hedge fund in Curaçao, Dutch Antilles. The fund started out with 4 million USD of investor’s capital, including 250,000 USD from Soro’s own savings. By 1973, the fund contained 12 million USD. George Soros created Soros Fund Management in 1970. After a few years, perceived conflicts of interest caused him to resign from the management of the Double Eagle Fund. 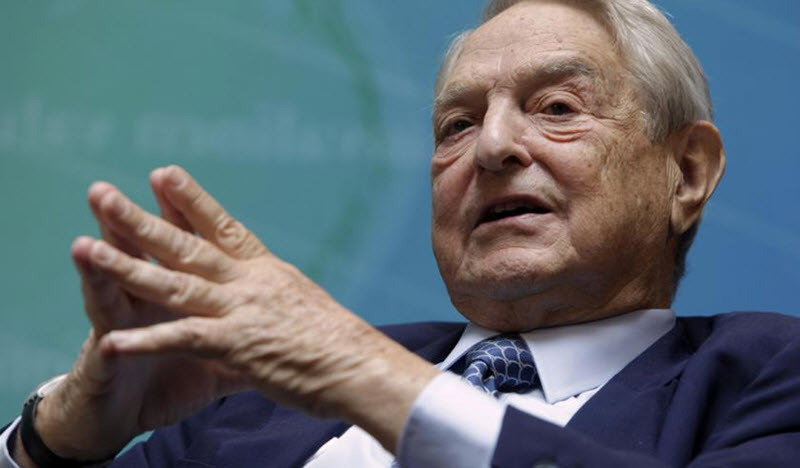 Soros set up a new fund called the Soros Fund in 1973, and invited Double Eagle Fund investors to transfer their investment to the Soros Fund instead of staying with Arnhold and S. Bleichroeder. At it’s high point for 1981 the Soros Fund – now called the Quantum Fund – contained 400 million USD. That year, the fund incurred a 22% loss which made several investors carry out major redemptions, until “only” 200 million USD was left in the fund. By 2011, the fund had averaged over 20% per year compound returns. Due to changes in U.S. Securities and Exchange Commission disclosure rules – changes which Soros felt would compromise his confidentiality duty towards investors – Soros return approximately 1 billion USD to investors. Simultaneously, he invested money from his own private fortune in the fund. At the time of writing, the Quantum Fund is the most successful hedge fund in history. George Soros has married three times and divorced twice. He is currently married to Tamiko Bolton. George Soros and Annaliese Witschak married in 1960. She was a German (non-Jewish) immigrant whose parents died during the war. The couple divorced in 1983. George Soros and Susan Weber married in 1983. She is 25 years younger than Soros. The couple divorced in 2005. George Soros and Tamiko Bolton married in 2013. She is 42 years younger than Soros. Robert Daniel Soros, born in 1963. One of George Soros first forays into philanthropy was when he helped black students attend University of Cape Town in apartheid South Africa in the 1970s.